Left with no choice but to flee her home, Abigail Muncy arrives on the stagecoach, weary and not hoping to find anything more than a quiet place to rest her head for a few nights before moving on. Instead, she’s charmed by the town and its residents. Despite her wariness, she decides to stay in London and try to rebuild what she’s lost. Phillip Wells is a man ready to settle down, finally able to consider marrying again following the loss of his beloved wife. As soon as he meets his charming new neighbor, his heart sits up and takes notice. But it soon becomes apparent that Abby is carrying a weight on her heart, one that might be too heavy to allow for that second chance Phillip is longing to have. He can only hope that he’s strong enough to help Abby fight her ghosts so that they can go forward with living together. 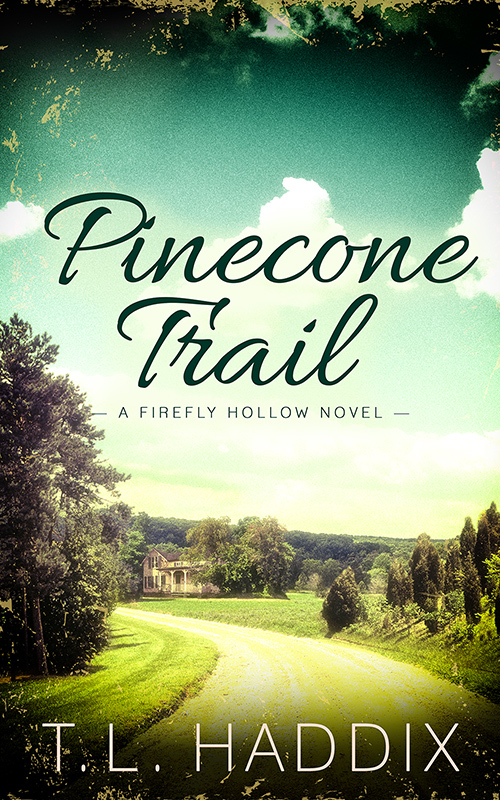 Pinecone Trail is the fifteenth book in the “Firefly Hollow” series by T.L. Haddix, Women’s Fiction Romances touched with traditional Appalachian folklore.